The water power of the Housatonic had already been put to work in Lenox Furnace to drive a sawmill, gristmill, fulling mill and iron works. In addition to water power, the nearby countryside also contained high quality raw materials that made glass manufacture a natural next step. At one time, the Berkshires were ocean front property and – to make a long geological story short – high quality sand was buried and scrubbed in the North Berkshires. As early as 1812, high-quality sand from Cheshire was sent to Boston for glass manufacture. High quality silica was also found near October Mountain. To this rich mixture, rail transportation and increased money capital could be added by the 1840’s. 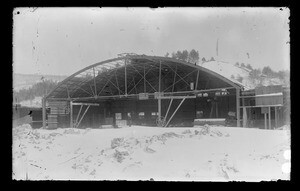 All the ingredients were in place for glass making in the Berkshires. 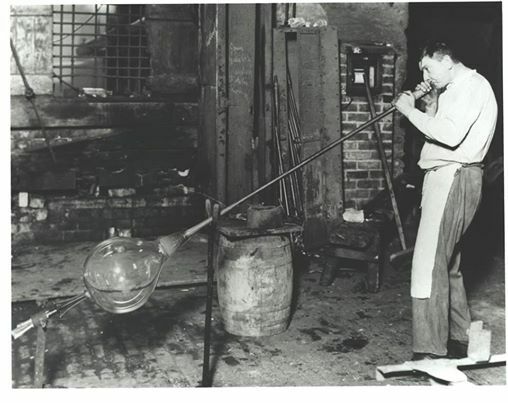 In the History of Lenox Furnace and Lenox Dale, Jan Chaque describes the elaborate glass making process and the vagaries of glass making in Lenox Dale. 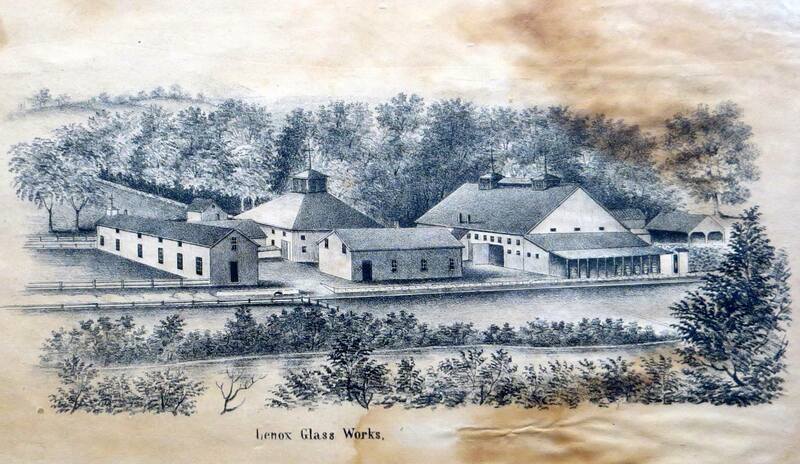 The Lenox Glass Works officially began in 1853, burned in 1854, rebuilt and continued making window glass until 1855. This proved unprofitable – perhaps somewhat of a commodity by this time. James N. Richmond, who had developed a process in Cheshire for making plate glass, leased the glass works and organized the National Plate Glass company to make rolled glass. This too failed and in 1858 the Lenox Iron Works again took on manufacturing until destroyed again by fire in 1862. It became an independent entity, the Lenox Glass Company and relocated in 1869 to land north of the depot. The new glass works claimed to be – at 600 feet by 100 feet, the largest building in the world and sat next to a Gas Works to heat the ovens. The facility made rough plate glass used used for translucent floors, roofs and tables. Down the street (where St. Vincent DePaul stands today) the Lenox Crystal Company was built for the more complex manufacturing of fine plate window glass. This too failed but was temporarily rescued by an infusion of capital by the James Roosevelt and Theodore Roosevelt, Sr. (father of the later to be President Theodore Roosevelt). Young Theodore visited Lenox with his father, stayed at the Curtis and would return later when campaigning for a fateful accident on the road from Pittsfield. 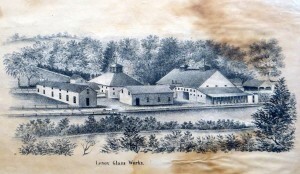 But, like iron making, glass making was not last in the Berkshires and the Lenox Crystal Company closed in 1872. Why? Shipping charges were high. The cost of shipping from the Berkshires to New York was said to be as much as shipping from Belgium to New York. Also natural gas found in Pennsylvania had proved less expensive than any power source available in New England. Although other manufacturing businesses would be initiated in Lenox Furnace, none would be of the scale of the iron or glass industries.